The Orange County Crime Lab recently admitted that due to faulty blood alcohol tests, hundreds of DUI cases will have to be re-evaluated. Between April and October of this year, the lab reportedly issued inaccurate blood test results that may have led to at least 20 drivers testing above the legal limit of .08 percent. According to the lab director of the OC Crime Lab, one of the two machines used to analyze blood samples did not save one data point in its software during calibration, which caused a .003 percentage point error in the machine’s readouts. 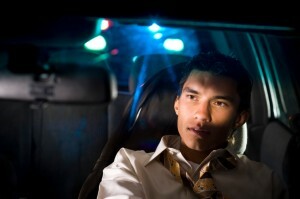 That means that a blood alcohol level of .078 was falsely increased to a .081. Of the 3,000 cases handled over the past five months, roughly 2,200 drivers were charged with a DUI. However, 200 of those cases will see a minor alteration in the blood alcohol level. The OC Crime Lab has since sent out at least 900 letters informing DUI defendants with resolved cases that the test results were inaccurate and that the correct percentages will be published online in December 2013. Farrah Emami, spokeswoman for the Orange County District Attorney’s Office said, “In regards to a case of .07, we’ll review those, but even in the case of .07, that’s not automatically grounds for a case to be dismissed.” She advised drivers arrested on suspicion of DUI to contact their lawyers to discuss whether further action should be taken. If you have been arrested or charged with a DUI in Orange County, defense lawyer Joseph H. Low IV can help protect your rights and your future. A drunk driving offense can result in the loss of driving privileges and others freedoms, which can greatly impact your ability to work and make a living. Please do not hesitate to call Attorney Joseph H. Low IV at (888) 454-5569 for a free consultation.